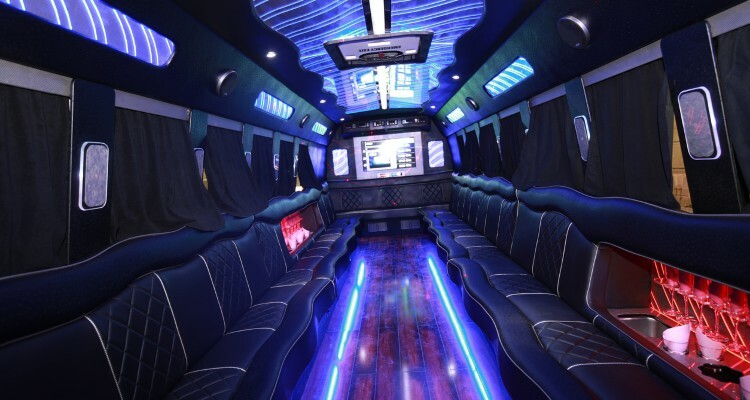 Plan the ultimate night out in Houston with a group in a stylish party bus rental. Longhorn Charter Bus can help your group get the party started with party bus rentals everyone will enjoy. With experience helping clients all across the city and 24/7 service, we make the process simple and fast when you call us at 713-344-0553. 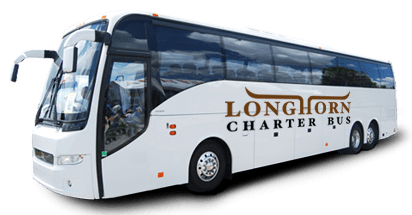 There should always be a reason to celebrate in Houston, and with Longhorn Charter Bus, we help your group find the perfect way to get the party started before you arrive at your destination. Whether it’s for a wedding event like a bachelorette party, a birthday celebration, or some fun after a corporate event, a party bus rental will give your entire group a fun ride for a night out they won’t forget. Party buses come in a variety of sizes to easily accommodate any group, from smaller party buses that can hold up to 20 passengers to bigger models that can hold 40 to 50 people at once. Party buses can come with a lot of different amenities like WiFi, heated seats, flat-screen TVs, entertainment systems, and more to enhance your overall experience. No matter the size of your group and their needs, we’ll find the perfect match for the best time. When you’re planning the ultimate night out, no one wants to be left as the designated driver and miss out on all the fun. When you work with Longhorn Charter Bus, we pair you with a personal driver to handle your entire trip through the night. Whether you’re bar hopping throughout downtown Houston or just need shuttle services from a venue to the The Westin, your personal chauffeur will ensure everyone arrives to their destination safe and sound, without the risk of getting a DUI, regardless of how many drinks they’ve had. We give you complete freedom on your trip, unlike other party bus and tour bus companies who have predetermined routes and itineraries. Instead, plan your own custom itinerary with destinations your group wants to see, and stay as long as you want at each location. Go back to the 80s at Etro Lounge or sip on classy cocktails at Proof Rooftop Lounge-- whatever’s on the itinerary, you’ll have a safe, personal ride dedicated to your group. Don’t let your night be a dud-- Longhorn Charter Bus can make sure it’s an unforgettable night out with easy, fun party bus rentals. Whether you’re staying in Houston, or traveling to a nearby city like Austin, Dallas, or San Antonio, we’ll make sure you have a stylish ride. Call our 24/7 team at 713-344-0553 to book today!